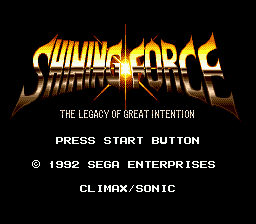 Shining Force is a turn based RPG that plays out on a grid system where large groups of characters engage in battle through various ranges and areas of effect. 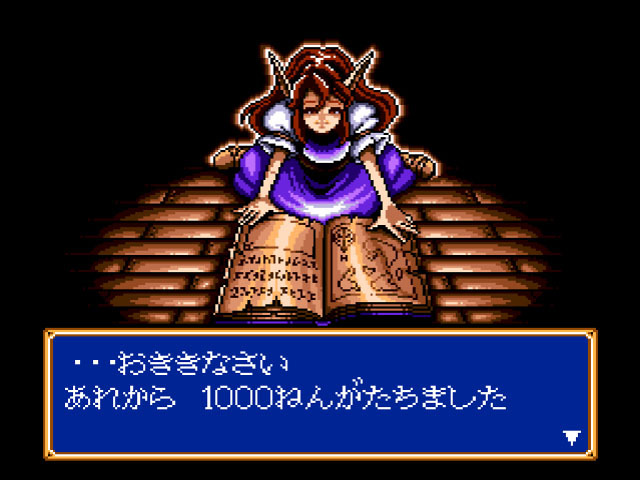 Players can level up their party members to the point that their job class evolves, but even then the game centers heavily around planning a strategy to defeat enemy encounters rather than overpowering them with high stats. 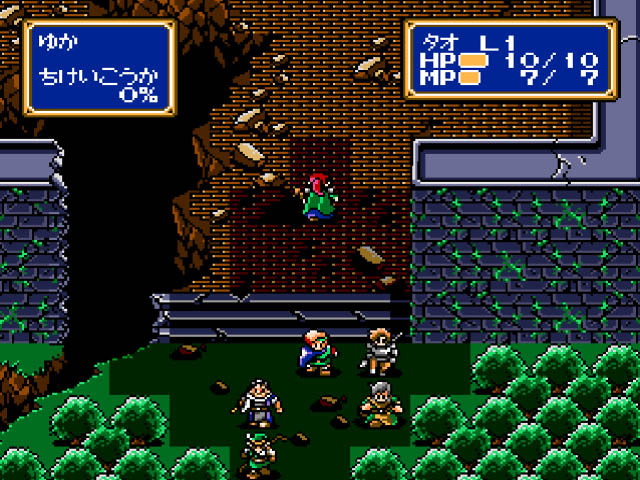 If the main character, Max, is defeated in battle, the game is over so you can view this as the main character being the King and all the other characters being different classes on a chess board. 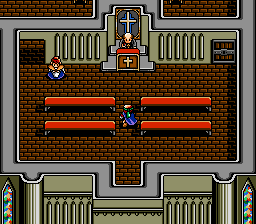 Characters can be customized with items purchased with money dropped by enemies and found in chests. There are even secret party members to meet in the game. 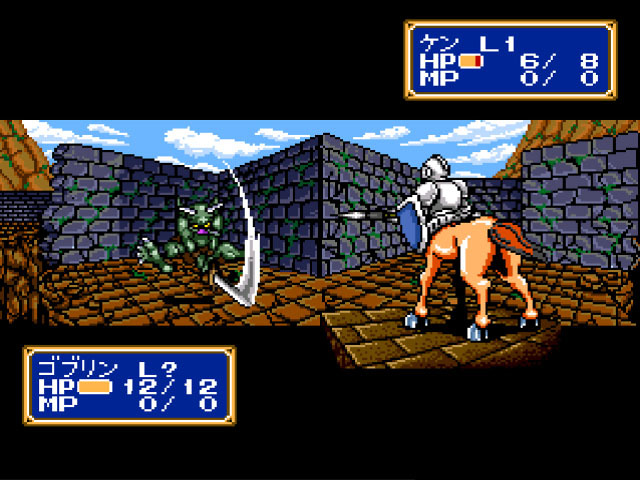 Shining Force was one of the best RPGs of its time and it has aged incredibly well. 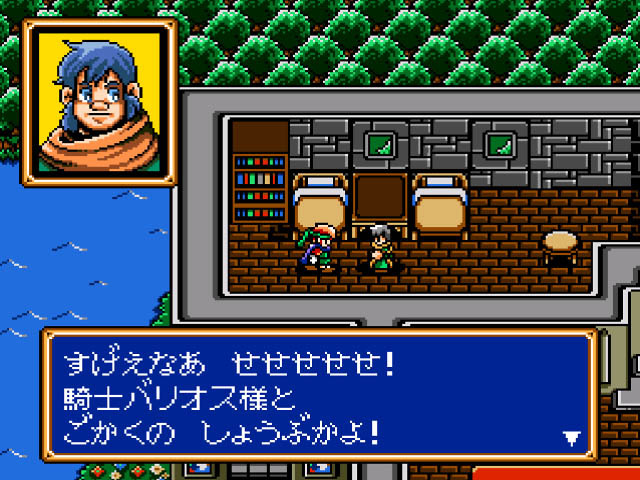 This is the Japanese version so the text may be problematic for people who do not speak Japanese. Thankfully, there is a Western release fully in English, but there are some translation errors if you care about the story being perfectly accurate to the original Japanese script. Now you can add videos, screenshots, or other images (cover scans, disc scans, etc.) for Shining Force - Kamigami no Isan (Japan) to Emuparadise. Do it now! If you haven't noticed yet, we have a retro game of the day feature (top-right of the screen) wherein we feature a new retro title every single day! Now, you can vote for your favorite games and allow them to have their moment of glory. 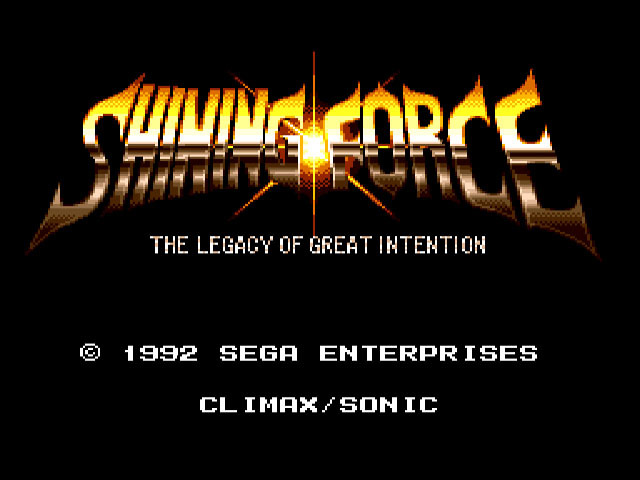 Click on the button below to nominate Shining Force - Kamigami no Isan (Japan) for Retro Game of the Day.